Unfortunately, the three LE models we shared yesterday are not in production, don’t exist and never will! 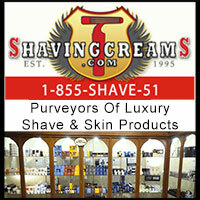 Sorry to disappoint, but we had to have some fun for April 1! Thanks for the awesome feedback on the designs though! 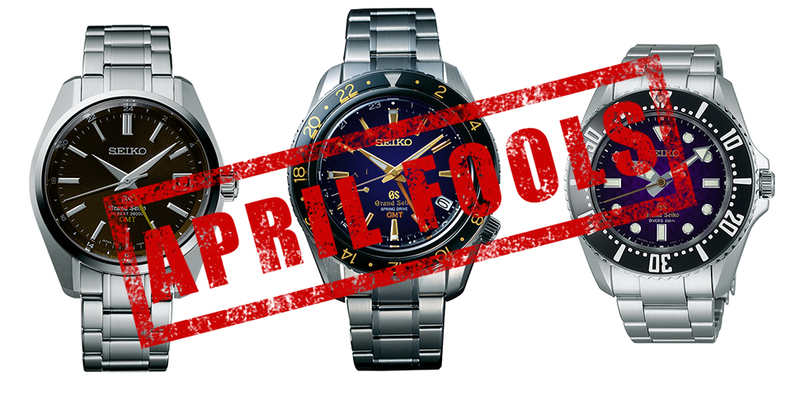 Stay tuned as we have more Seiko goodness to share that are actually real! 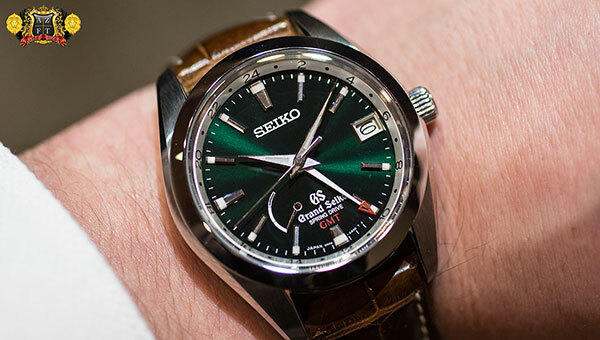 For 2015, Seiko has three new Limited Editions that are going to be are all going to be very small production, with the most being produced in a quantity of 500 pieces. First, we introduce you to SBGE037, which will be featured in Seiko’s proprietary Bright Titanium case, with gold accents for the hands, indexes and potions of the bezel. 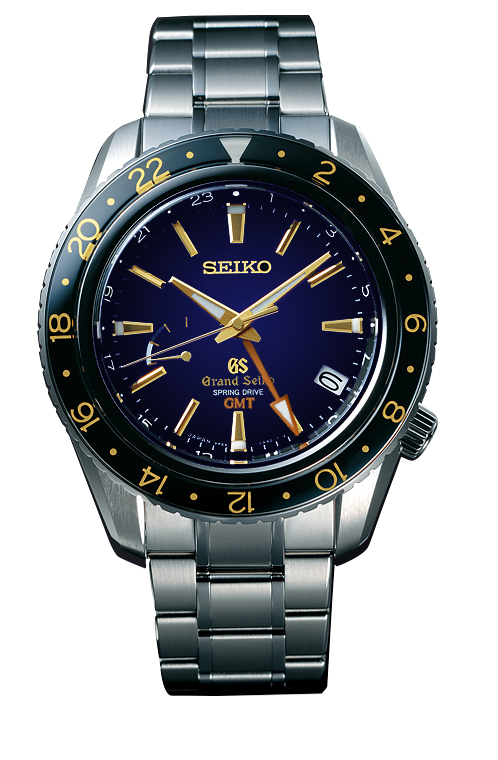 This is a take on their SBGE001 or SBGE015, but with a dark blue gradient dial and subtle texture. The GMT hand and accents will be in orange, creating a very unique look for this LE GS. 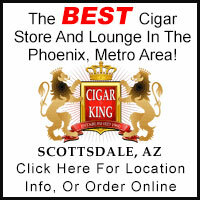 Only 150 pieces will be made world wide. 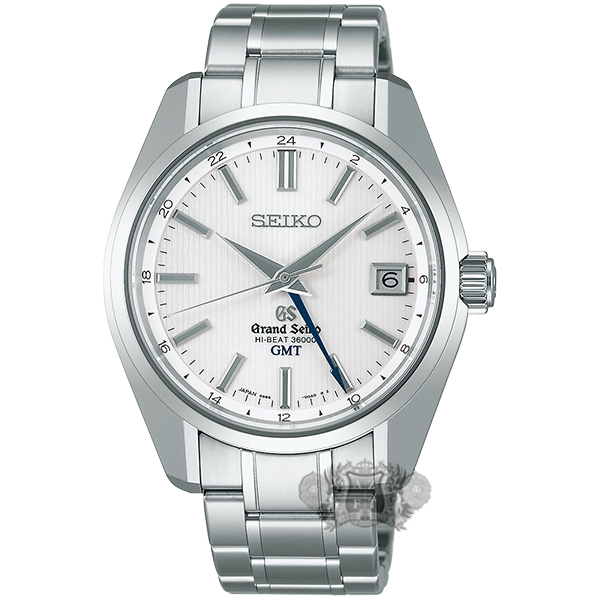 As a new modern introduction to the Grand Seiko line up, Seiko launched 3 new styles of 42mm mechanical automatic pieces featuring the no-date 9S61 caliber. 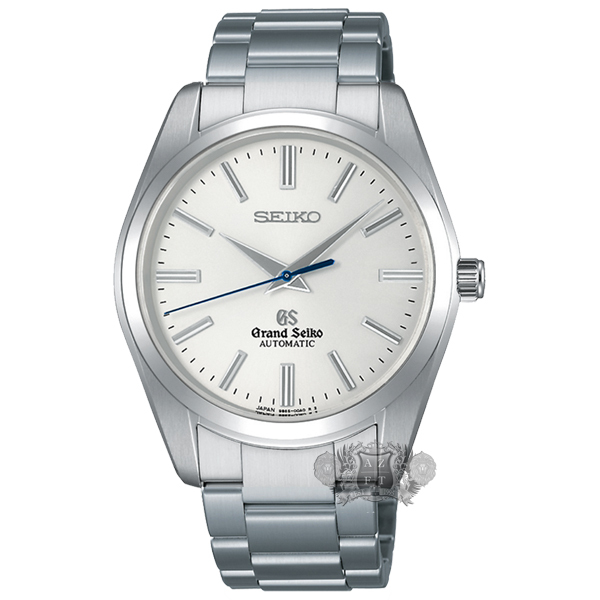 The first in the line up is the SBGR099 featuring a silvery white radial finished dial with blued steel seconds hand. After last years successful introduction of the new 9S86 mechanical Hi-Beat GMT caliber, Seiko has expanded on this line up creating their first rendition of the 44GS case design in the proprietary Bright Titanium alloy. The first model in the line up is the SBGJ011 which features a silvery white dial with pin striping texture and blued steel GMT hand. 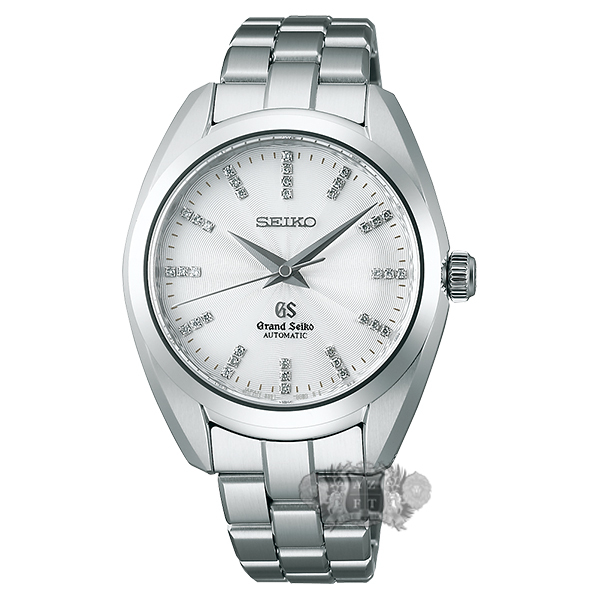 For the first time since the late 70’s, Grand Seiko has introduced a Grand Seiko mechanical automatic caliber in their ladies collection. 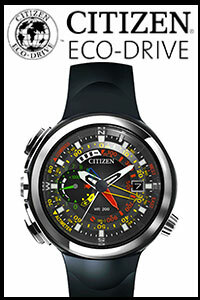 The new caliber is the 9S61 which is basically the same as the 9S65, but has no date window. 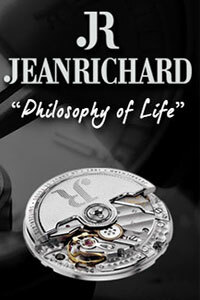 These new ladies Grand Seiko automatics will be in a 34.8mm stainless steel case that is 12.3mm thick. The first in the line up is the STGR001 on stainless steel bracelet and with diamond markers.